Write what you know is an exhortation (attributed to Mark Twain) to all who put pen to paper––or voice to Siri. There is some debate about what this really means, but I take it at face value. One of my favorite sub-genres, if there is such a word, is writers writing about writers and, even better, mystery authors writing about people in their own line of work. They give a little insight into the process of creating memorable characters and their dastardly deeds. 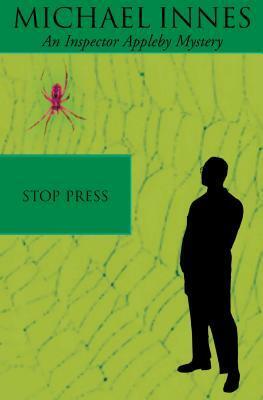 In Stop Press, by Michael Innes, written in 1939, Timothy Eliot is an undergraduate at Oxford with an uneasy mind as the end of the year approaches, and he comes to Professor Gerald Winter for some help. Timmy feels that his father, Richard Eliot, is headed for the loony bin. Mr. Richard Eliot is a well-known writer of 30-odd books revolving around the exploits of a character known as "the Spider." The Spider began his adventures as a master crook but, over the years, morphed into a dashing detective. The Spider belongs to that class of sleuths who are of ample means, debonair personality and a bit smarter than the police. Recently, however, because of some unusual occurrences in the region of Rust Hall, the Eliot family manor, Mr. Eliot has been wondering if the Spider has come alive. To be specific there was a burglary that resembled one the Spider had thought of––but that plot was only imagined by Mr. Eliot; never published. Other events occur in the same vein, increasing Mr. Eliot's anxiety. As Timmy would have it, "it was as if the inanimate seeming husk of his father’s books had trembled and cracked, and from the chrysalis there had struggled a living thing." 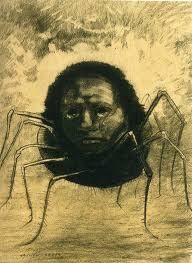 Coming up at Rust Hall is the annual celebration that the publisher puts on for the Spider's birthday. This year is to be a special occasion, because the Spider has turned 21. Many people are descending on the manor, including other writers, translators, an actor who reprises the role of the Spider on the screen, and many others. Timmy is convinced there will be trouble over the weekend and asks his tutor, Mr. Winter, to come along as well. Timmy has an older sister, Belinda, who works at nearby Rust Manor with her friend, Patricia Appleby, who is also invited for the weekend. Throughout the course of the first evening, Patricia picks up on some vibes, as several Spider-like rather cruel jokes are played on the guests––and she fears worse is to come. She sends out an SOS to her brother, John Appleby, a chief inspector at Scotland Yard, to come as soon as he can. Appleby arrives in a dramatic fashion, after all of the lights of the manor were suddenly extinguished as if by magic, and the party was smothered by a frightening darkness. Appleby fixes the lighting problem with the aid of a flashlight and fuse because after all, electrical problems were quite common in old houses in those pre-World War II years. He joins the house party, because he is intrigued by the puzzle. 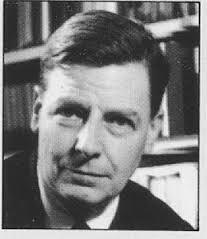 Somehow, someone is privy to the inner thoughts and plots of an author who guarded his secrets carefully, and who furthermore claims that the prankster has becomes more menacing, as he is now also having thoughts involving the Spider that never entered Mr. Eliot's mind. John Innes Mackintosh Stewart was born in Scotland, educated at Oxford––like his protagonist––and taught English at many universities. He was a great scholar, and his erudition comes across in his writing. He is the only author I read regularly who uses words I have to look up every few pages. A few of my favorites from this volume were congeries, meaning collections or aggregations; and gnomic, meaning mysterious and often incomprehensible, yet seemingly wise. Nothing to do with eels or gnomes. Innes is such a wordsmith that some sentences are crafted to have a fuller meaning after the words sink in and settle for a bit. Speed-reading will not do for this author. The peek behind the curtain in this novel is when a character in Stop Press elucidates what makes mysteries successful. 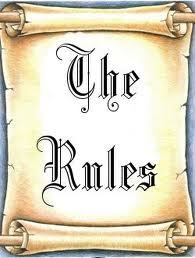 For example: "everything is subject to the rules, which the reader knows. There is generally a puzzle that the reader can solve by means of the rules and that implies that in the little universe of the book the reader is the master. The books cater for the need of security. Real life is horribly insecure because God is capable of keeping a vital rule or two up his sleeve and giving us unpleasant surprises as a result. The author Mr. Eliot, the author isn't allowed to do that. When we figure out the puzzles we get a pleasant sense of intellectual superiority. Knowing the rules we can control them if we want to." Dare we presume that this is how Innes feels as well? Robert Barnard, a prolific author all of whose works I hope to read eventually, takes several different pokes at the profession of writing. 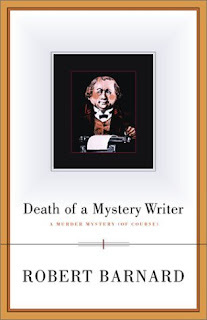 In Death of a Mystery Writer, he targets the aptly-named Sir Oliver Fairleigh-Stubbs, a rotund best-selling mystery novelist who is despised by all who know him, because he is an overbearing bully. His books are quite enjoyable, even though readers never feel they can admit their admiration of the author in public. When the author is murdered, there are almost too many suspects. The plot is further enlivened by a missing-manuscript mystery. On the romance front, Barnard sent his protagonist, Perry Trethowan, to Norway in The Cherry Blossom Corpse, where he accompanies his sister to a Romantic Novelists convention. Trethowan expected chilly weather, fanciful authors and flowery language. He never expected that beneath the facade of these writers, mostly ladies, there would be such malice; back-biting and bitter rivalry lead to the murder of one of the group. 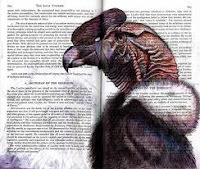 A Hovering of Vultures is the sad tale of the death of a pair of literary writers whose tomes were so dreary that the shocking details of their last moments gave them more acclaim than their lives' work. Barnard's Charlie Peace tackled this case. Read all about it here. 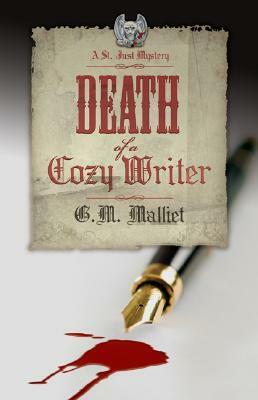 Another novelist who seems to think fictional writers are better off dead is G. M. Malliet. In her Death of a Cozy Writer, there is an Agatha Christie-like gathering during which a wealthy, successful cozy mystery writer––who is also the pits as a human being––meets his fate while a storm blankets the house with snow. Cornish detective Detective Chief Inspector St. Just and his partner, Detective Sergeant Fear, search for Colonel Mustard and the candlestick. Humor and plot twists keep the book alive. In Death and the Lit Chick, Malliet lampoons mystery writers again, with the sharpest point needling the wildly successful young author of the chick lit mystery. 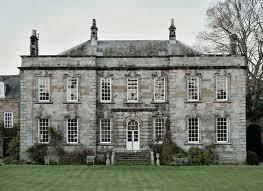 Along with Kimberlee Kalder, there is a group of writers at a Scottish castle where St. Just happens to be staying. The rivals for the bestseller rankings are damsel-in-distress novels (that are fading in popularity with the reading public), spy thrillers (as dated as the Berlin Wall), dark-and-edgy novels (with no edge), and a weird detective story set in prehistoric times. The castle is surrounded by the traditional moat, the drawbridge is up, the lights go out during a storm and, you guessed it, a certain mystery author turns up dead, presenting St. Just with a murder to solve. I am intrigued by the turnabout where writers of the past are being brought to fictional life, putting on gumshoes and donning deerstalker hats. Several late authors are solving mysteries in their own series. Dorothy Parker is known for being part of New York's famous Algonquin Round Table of the 1920s, a regular gathering of authors, critics and others in the book trade whose barbed witticisms led to their other nickname, the "Vicious Circle." 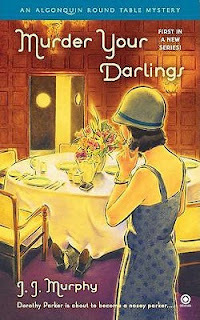 In the first of his mysteries featuring Dorothy Parker and the Algonquin Round Table group, author J. J. Murphy turns Dorothy into a Nosey Parker when she discovers a body under the round table who is dead as a doornail, not dead drunk. I might give this series a try. There are several other real-life authors who have turned into fictional sleuths. Nicola Upson has resurrected Josephine Tey and put her to work. Gyles Brandreth has revitalized Oscar Wilde's wit and personality and recreated him as a sleuth with great success. And, finally, Jane Austen has crawled out of her grave again to put clues together and solve crimes in Stephanie Barron’s series. All of these stories, in their way, let us know a bit about what authors think of their craft. For some reason, I seem to find books with the authors as victims a bit more enlightening. They give me an appreciation of what an author has to deal with when it comes to the public, publishers and publicity, and the problem of protagonists they are tired of but who are still their bread and butter. They all face the changing times and mores as we do and must make interesting stories out of them.